For those of you who love Vampire: the Masquerade as much as I do, you’re probably aware that its hitting a twenty year anniversary milestone this year. My old favorites like Gangrels and Toreador were already on my mind — then I started re-reading Dork Tower. 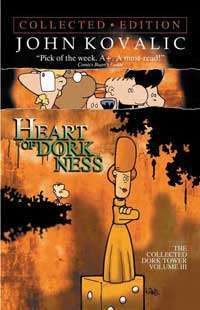 Next year, Dork Tower will be celebrating its fifteen year anniversary and quite a few of the earlier comics were inspired by Vampire: the Masquerade. One of the first times we meet Gilly, who is a recurring character in the strip, we find out she’s playing in a vampire LARP. Well, I’m here to tell you there is nothing more horrifying (and funny) than the bonus material in Heart of Dorkness. Written by Phil Masters and illustrated by Aaron Williams, you’ll find out about such mysterious archetypes in Clanbook Perky as the undead gamer, the weekend bloodsucker and, of course, the closet perky. The more perky you are? The more resilient you are to sunlight. Truly terrifying! In addition to Clanbook Perky, you’ll also find a parody adventure for D&D 3rd Edition called The Sheep on the Borderlands: Or How I Learned How to Stop Worrying and Love the Orcs. 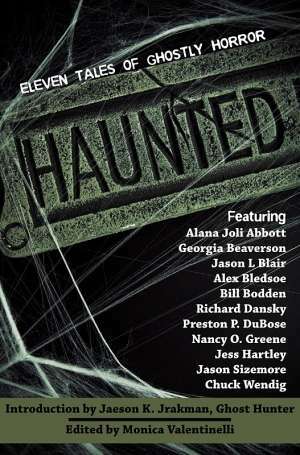 Lots of familiar faces in the industry worked on that, too, including Jeff Tidball and Michelle and John Nephew. If you’re thinking about picking up a volume of Dork Tower, it’s a great time to get a copy because of the twenty-five percent off sale on Dork Storm Press comics at DriveThruComics.com. 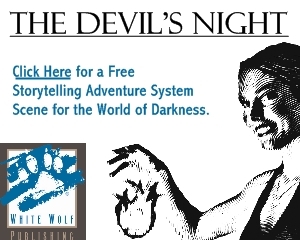 For more Vampire: the Masquerade themes, you’ll probably want to pick up Dork Shadows, too. does flamesrising have anyone headed down to the Grand Masquerade? I’ll be at Grand Masquerade mixing my Flames Rising and DriveThruRPG elements.